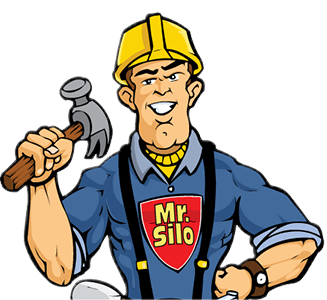 USA Silo Service, Inc. takes pride in our ability to skillfully handle emergency silo cleaning and maintenance needs. Our ultimate goal, however, is to provide services that can prevent these emergencies in the first place. When we visit your facility, our expert technicians assess all aspects of your industrial silos or bins. We give you recommendations for further protection and suggest preventive measures that can eliminate costly repairs in the future. Regular maintenance, including cleaning, inspection, and repair, keeps your silo efficient and limits potential liabilities. Proper care of your silo improves the useable life and can minimize big-ticket repair and cleaning costs. If your airflow units are showing signs of wear, we can quickly improve or replace them for optimal efficiency within your silo. Whether you need a simple fabric change on existing diffusers or air slides, or you need a complete replacement of an air stone, we will ensure the uniform flow and discharge of materials, preventing any issues of blockage or compacting. 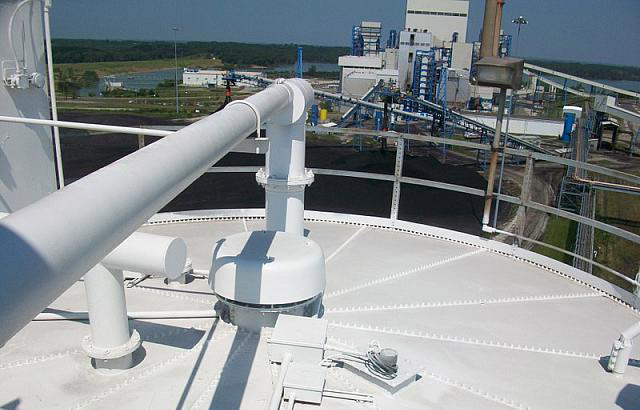 We consider all aspects of your situation, including the type of materials stored, the condition of your silo and the difficulties you may be facing to determine the best course of action for your airflow needs. We provide waterproof coatings suitable for a wide variety of metal and concrete surfaces. Our synthetic rubber coating provides high elasticity and bonds directly to the surface. The two-part, base and top coat, waterproofing system repairs and seals cracks, laps, fasteners, and penetrations on roof and wall surfaces. In addition to superior water and fungi resistance, our rubberized coating also protects against corrosion from salts, acids, alkali, and other environmental extremes. Learn more about how our roof-top, silo coating, and bolted steel coating services provide better waterproofing. USA Silo Services inspects silos before and during the cleaning, coating, and maintenance processes. In addition to ensuring ongoing quality control, we also evaluate silos for signs of structural damage that may have been hidden by material buildup or previous non-bonded roof-top coatings. As a division of Marietta Silos, the only full-service silo company in the US, we provide repair services under one purchase order. No matter how small or how large, our team of experts can quickly and efficiently repair your silo. Learn more about our concrete and steel silo repair services through Marietta Silos.